The extraordinary story of how the vatican's imprisonment of a six-year-old Jewish boy in 1858 helped to bring about the collapse of the popes' worldly power in Italy. With this terrifying scene, prize-winning historian David I. Kertzer begins the true story of how one boy's kidnapping became a pivotal event in the collapse of the Vatican as a secular power. The book evokes the anguish of a modest merchant's family, the rhythms of daily life in a Jewish ghetto, and also explores, through the revolutionary campaigns of Mazzini and Garibaldi and such personages as Napoleon III, the emergence of Italy as a modern national state. 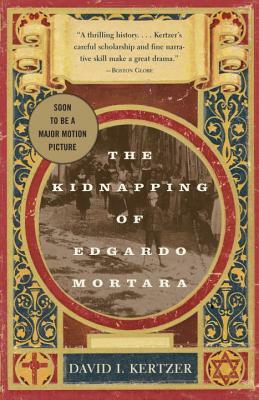 Moving and informative, the Kidnapping of Edgardo Mortara reads as both a historical thriller and an authoritative analysis of how a single human tragedy changed the course of history.